This Thursday at Moondog Growlers in Marietta, Georgia, The Burnt Hickory Brewery will make its first retail appearance. 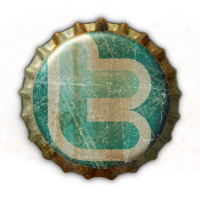 Previously, Burnt Hickory brews have been only available for consumption in bars. This will be your opportunity to buy Burnt Hickory beers to enjoy in your home. Scott Hedeen (Brewmaster) will be available to talk beer from 6:00 to 8:00 PM. Atlanta’s Smallest Brewery with the biggest beers! 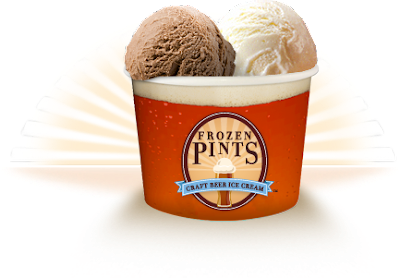 Frozen Pints contain real craft beer that is blended with handmade ice cream. Through what must be some fun tasting sessions in the name of Research and Development, an ice cream that compliments each brews complex flavor profile is created. Because the ice cream contains beer, it contains alcohol. Don't begin looking for Frozen Pints at your local grocery store. Frozen Pints has been introducing their craft beer ice cream at local beer festivals for the past year. Beginning July 1st, their freezers filled with goodness have been placed in many of Atlanta's finest beer and wine stores. I was able to taste five flavors of creamy elixir at the Tasting Room at Tower Beer, Wine & Spirits in Doraville.